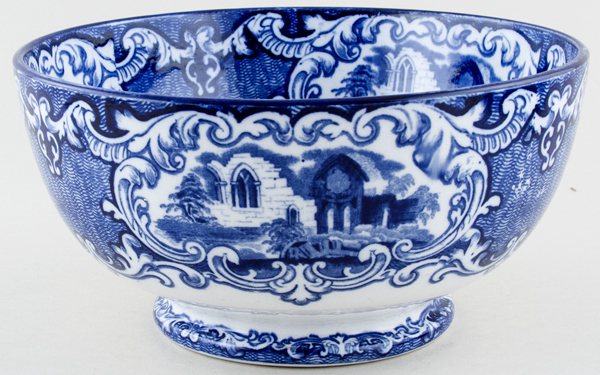 Fabulous large bowl, beautifully patterned both inside and out. Item AB43 in the 1920s George Jones catalogue, this being the 5th of 6 sizes. Backstamp: George Jones & Sons Abbey 1790 England. Some surface scratching inside to the base and the occasional minor manufacturing blemish, overall excellent condition. OVERSEAS SHIPPING OUTSIDE EUROPE Owing to the size of this item a supplement of � about US$54 will be added to the standard overseas shipping charge.